People shop on the day after Thanksgiving, called Black Friday, in Manhattan Mall on Nov. 28, 2014 in New York City. While consumers can expect to be overly joyed this holiday season, the holidays are shaping up to be more Grinch-like than merry for retailers. Macy's warned last week that its stores would be forced to heavily discount merchandise in the coming weeks because of sluggish sales and excess inventory. "We believe the retail industry is going through a tough period," Macy's CEO Terry J. Lundren told investors last Wednesday. "We seem to experience something like this every five to seven years or so." Retail stocks tumbled after Lundren's comments, with shares of Macy's plunging nearly 14 percent. Macy's stock has dropped nearly 18 percent since Nov. 11. Retailers, like Macy's, pictured above, are warning that excess inventory and sluggish sales will force them to heavily discount merchandise this holiday season. Analysts at Cowen and Co. published a research note warning that Macy's "inventories are bloated heading into the holiday," resulting in "a more promotional holiday season for broader retail." Macy's is not alone: DSW Inc., Dicks Sporting Goods, Skechers U.S.A., Ralph Lauren and Michael Kors are also reporting a glut of merchandise. 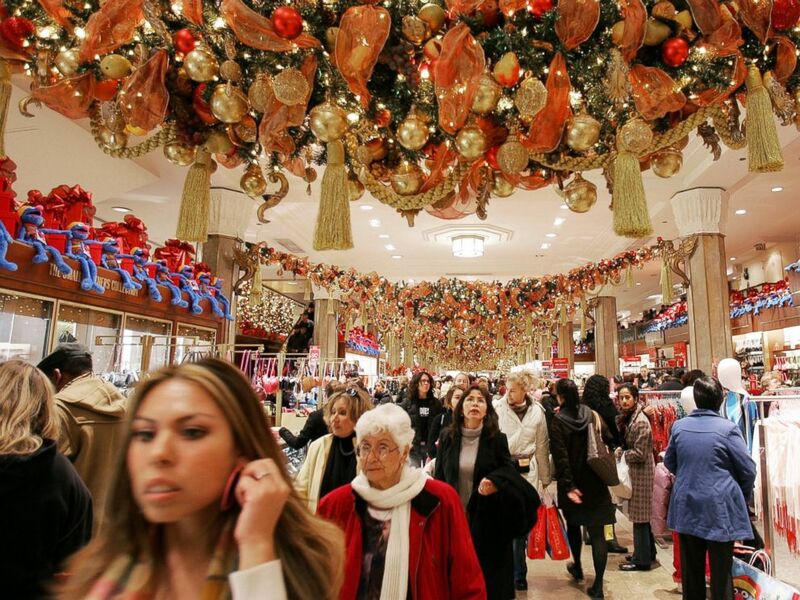 Retailers will be forced to slash prices an additional 15 percent on top of holiday promotions to clear out inventory, Howard Davidowitz, a longtime retail consultant who has been analyzing industry trends for 40 years, told ABC News. "Retailers have too many goods and they've got to dump them," he said. "High-ticket items like boots and coats have got to go. Last year the deals were 'Buy 2, Get 1 Free.' This year the deals will be 'Buy 1, Get 1 Free.'" Retailers have largely blamed the warm weather for lackluster sales, but the move away from department stores and malls to online shopping has also heavily influenced their bottom lines. "Online is the fastest-growing area for retailers, but retailers haven't responded fast enough" to account for the shift in consumer-buying habits, Davidowitz explained. There are two retailers that Davidowitz expects to perform well this holiday season: Home Depot and Restoration Hardware. These retailers have standalone stores (as opposed to mall locations) and more consumers are viewing their homes as an investment again as the percentage of homeowners with underwater mortgages has fallen. Marshal Cohen, chief industry analyst at the NDP Group, forecasts that retail holiday sales will increase 2.8 percent to 3.2 percent this year compared to last year. He said the warnings by retailers about a disappointing holiday sales season are overblown. "Every year we go through the same thing, retailers claiming the weather is wreaking havoc on inventory," he told ABC News. "Consumers don't buy that far in advance yet retailers are still operating on an old mindset." And consumers have gotten smarter about discounts, he noted. "It's no longer about where to buy the product; it's about when to buy the product," he said. "So many deals are being flung already at consumers. All retailers carry the same stuff. The only thing to differentiate retailers from each other are sales and discounts." The NPD Group, a market research company, expects two-thirds of consumers to shop online this holiday season, a 12 percent jump over 2014. Walmart announced last week it would be offering its door-buster deals for the first time online, a move that other retailers will likely follow. Target said last week that its Black Friday bargains will last 10 days, not one. November is now "'Black Month of Discounts,'" Mark Ellwood, author of "Bargain Fever: How to Shop in a Discounted World,” told ABC News’ Rebecca Jarvis. "This year stores are more desperate than ever … you will be astonished with the discounts that will come out." Consumers can always wait out the deals until just before the Christmas holiday, when leftover merchandise is drastically reduced. But waiting for the lowest price comes with consequences. "Generally, it's smart to wait for sales but the problem is, will you get what you want?" Davidowitz asked. "With apparel, you may have a size or color problem."